A few weeks ago, a friend and I decided to try out "freezer cooking". I have several cookbooks that show how to take a recipe and double it or triple it and freeze it for future use. Well, who wouldn't like having a freezer full of meals that you can pull out in the morning to thaw and then cook that night and eliminate all the prep work? Our trial run went great and we plan to do it again soon. In the meantime, however, I am going to try making double of whatever it is I am fixing for supper and put that in the freezer. Not all meals are amenable to being in the freezer of course, but the ones that are will be what I will double. For instance, when my friend and I had our cooking session, we made a sloppy joe recipe that my family really liked, so when making the menu for this week, that is one my family asked for, so I am going to make a triple batch of it and put 2 of them in the freezer for later. Friday - Baked spaghetti, homemade garlic cheese biscuits, and tossed garden salad. If any of you do this type of cooking, I would love to hear your tips, so please share! It seems no matter where you go today, you hear something about the state of our economy. As we start to see the cost of fuel steadily increase and as we watch the prices of staples such as milk and eggs creep up ever higher week by week, I have started to feel a more increased urgency to "make preparations" for harder times. Sometimes it is hard to know just where the balance is in that though. I really don't want to become one of those doomsayers who is all negative, like Chicken Little crying out that the sky is falling, but I also don't want to be caught on the opposite side of the spectrum either, with my head stuck in the sand not acknowledging the reality of our economic state. As a family, we have started to think about ways we could better prepare ourselves for tougher financial times. Since our electric bill has also seen steady increases, we decided that one of the first things we could do is find ways to cut back on our energy consumption. 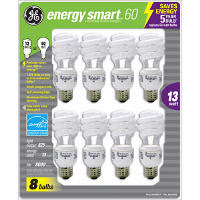 To get us started, we recently bought 2 packages of the new energy-saving CFL bulbs to replace our existing bulbs. This is just one of the many things we have on our list of things that we can do to cut down on our expenses. What are some things you are doing to cut back on your living expenses? I would love to hear about them and I plan to share more of what we come up with as well. As I have looked at that each day, it has me thinking. I want a heart of wisdom. I have prayed for a heart of wisdom before. So, what does this scripture teach me about getting that? That if I learn to number my days I can get a heart of wisdom. Hmm.... Numbering my days. In the past month or so I have struggled a lot with feeling overwhelmed about most areas of my life. I constantly feel plagued by busyness. I find myself making frequent trips to town (thankfully to get to civilization for us is only 2. 5 miles... LOL), getting to bed way later than planned, and sleeping way later than I need to. I feel tired all the time and I am cranky. 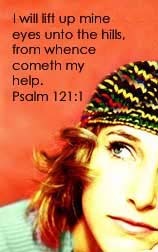 In the midst of all that crankiness, I hear myself pleading with God under my breath, "God, I am tired, Please help me!" So, for the 100th time I glance at my calendar and see the scripture above. So what is it saying? Could it be that if I learn how to number my days I will receive a heart of wisdom? If I learn to embrace each day to its fullest and make time for the important instead of the urgent, if I learn to think and pray about things before making snap judgments or decisions, if I invest in the lives of others and put others needs ahead of my own, if I remember to make my own relationship with God a priority by making an appointment to spend time with Him daily, is that what God is saying to us in this passage, that will get us that heart of wisdom? To be honest, I haven't taken the time to do a word study on this verse and really scope it out, but I do know that as I have seen this scripture each day, it has been speaking to me and making me really stop to think about numbering my days. We only get so many days in our life and I really don't want to think about how many I have already wasted on non-important things. I truly desire to see each day as precious and to seek God's heart for that day and maybe in doing so, I will end up with that heart of wisdom I have been looking for. The internet ---an amazing invention. Ministry --- something every christian is called to do. Put them together and you have one amazing and awesome tool to touch people's lives with. 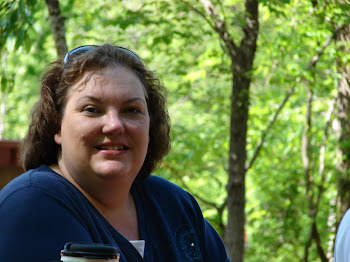 While I am still learning how to tweak my space here in blogger world, I was thinking today about how much the internet has impacted my life, and in a positive way. Besides having an answer to almost any question you have (thanks Google! ), the internet has allowed me to meet people that I would have never met and to develop friendships that have stood strong and helped me weather many storms. When I first discovered email lists, I was amazed at how many people had the same interests as me! I have a love for scrapbooking and so those were the first email lists I joined. Then I realized there were "christian" lists for women as well, so I joined several of those. It has been an amazing journey for me personally, meeting so many christian women online, sisters in the Lord, with whom I share many common interests. Yes, I attend a local church and yes, it feeds me, but I have to say that the christian women I have met online through email lists and now through blogs have truly enriched my life and encouraged my walk with the Lord, as much as those with whom I share a pew. Owning an email list and writing a blog has allowed me to explore new territory in my christian walk and perhaps go a little deeper into a call I feel is from the Lord. Many years ago, the Lord spoke to my heart about a ministry he had for me, but I allowed Satan to trip me up and though I never lost faith in God, I never felt I would be able to minister to others the way I felt God had called me to. Just recently, God has been stirring something within me and He is taking me to a deeper place, a deeper relationship with Him, and I am starting to believe that God may indeed be "restoring what the locusts have eaten", in my life. I am excited about what God has in store for me, but I am a little scared of not knowing just how the journey will go. I guess that is normal. One thing I do know is that God can and will and has used the internet to bring His message of hope, healing, and deliverance to many, including myself, and my desire is to be able to give back and share what the Lord has taught me in hopes that it will bring encouragement to others and point the way to Christ as our only hope in this life. Internet. Ministry. A Good Thing! I NEED THE SUN OR IS IT THE SON I NEED? As winter continues to linger here in the Ozark mountains of Missouri, I have found myself saying repeatedly "I NEED THE SUN!" I just seem to function much better in life when I get sunshine. I have been more irritable and grouchy and I feel like I have so many things to get done, but no energy to do them. Then, this past weekend, we had unbelievable temps! It was in the mid 50s on Friday, mid 60s on Saturday, and on Sunday we hit 72!!! Woo Hoo! We got the carport cleaned off and reorganized, rearranged some furniture in the house, and got my office painted and carpeted! I was walking on cloud 9 from all the energy I suddenly seemed to have. Then, the thought came to me - if my physical body responds so well to the sunshine, how much more does the spiritual side of me respond to the SON (of God)? Just as I was dragging and being grouchy and irritable because I didn't have the sunshine to energize me, could it also be possible that my grouchiness or irritability came from not spending enough time with the "SON"? How much time have I put into spending time with the SON lately? These thoughts have really weighed on my mind over the past few days. My conclusion is that if I was spending a little more time with the SON, then I might be able to bear more gracefully the days without much "sun". That said, this morning we got about 6 inches of snow, but by afternoon the sun was shining bright and the snow was starting to melt already. Come on Spring! And I am looking forward to spring in my heart as well. Several days ago I became a "Company Girl". What is a Company Girl? Well, click on this link: http://homesanctuary.typepad.com/rachelanne/ and you can find out all about it.